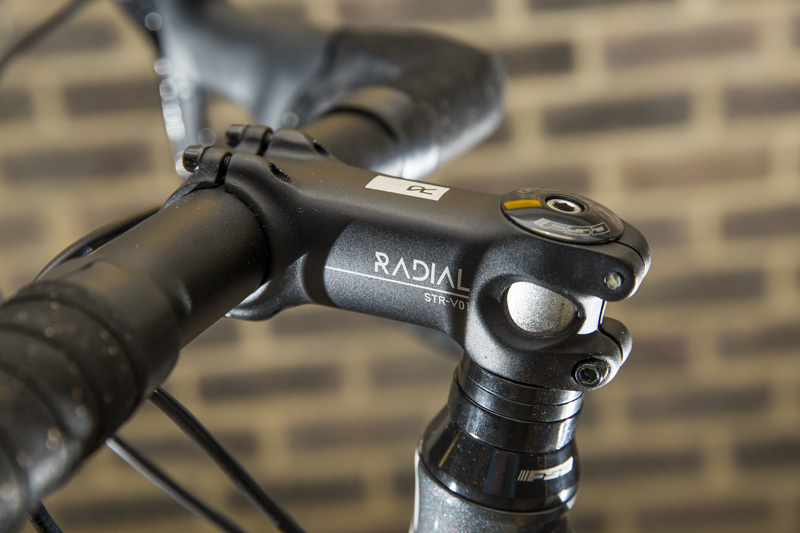 Less than six months old, Radial Cycles is hardly the most established bike brand in the UK, but already offers a huge range of 33 bikes across all disciplines, with another 20 or so planned by the end of the year. The Radial Revere 2.1 is the company’s entry-level road machine, dipping under that all-important £500 price mark by a single penny. 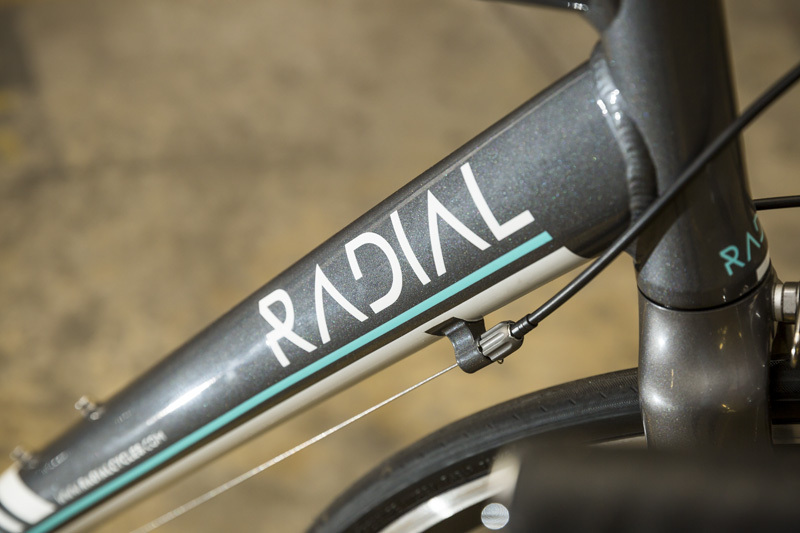 In a similar manner to many new bike companies, Radial has chosen to follow a direct sales model, selling bikes direct to the consumer in order to cut costs. A common problem with this method is that the bike is delivered in a myriad of pieces, and there is no mechanic on hand to put it together properly. However Radial is trying to do things a bit differently, delivering its bikes fully built, complete with wheels attached, leaving you with nothing to do other than straighten the bars. As you’d expect from a bike at this sort of price, the frame, fork, and all of the components are made of aluminium. 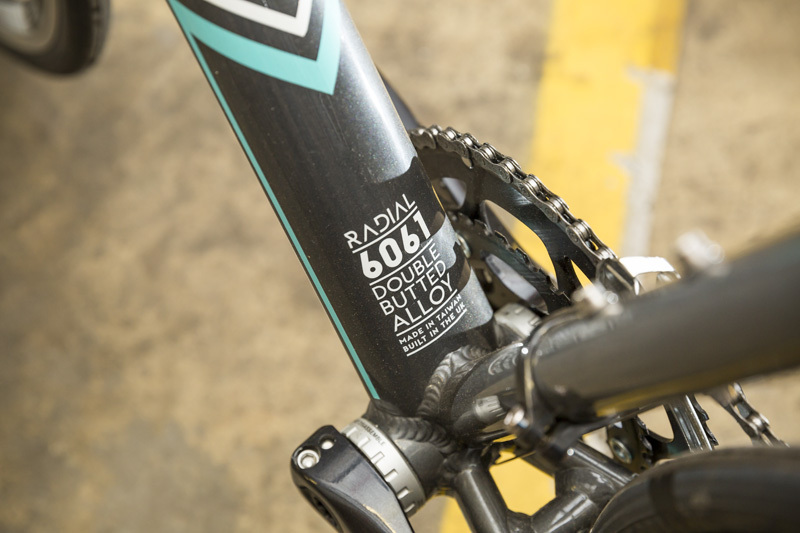 The frame and fork use a double butted 6061 alloy, a departure from the 7005 alloy used for most aluminium frames. >>>Bike test: Aluminium, steel, carbon or titanium? The ride quality is in general pretty good. Testing the Radial Revere over flat and gently rolling terrain was a pleasure, with the bike really maintaining momentum once you get it up to speed. I was especially impressed with the bike’s handling, which was smooth and precise and really put your mind at ease heading into corners. 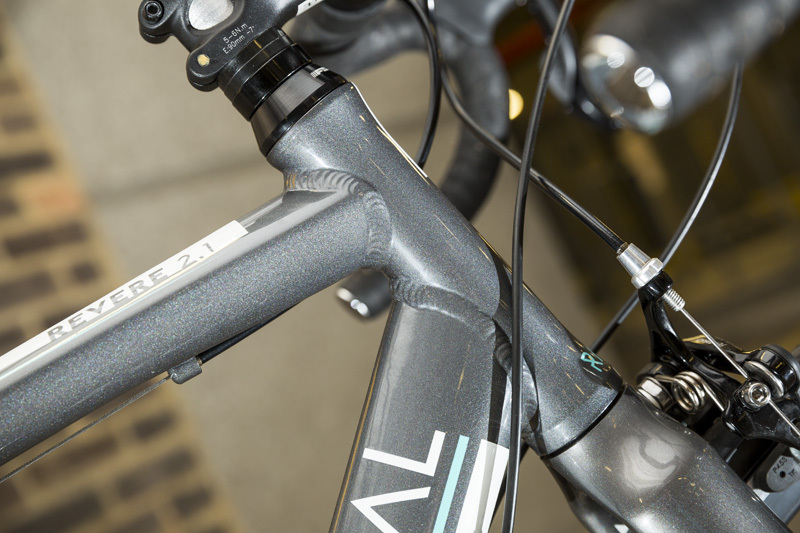 With the sub-£500 price point, it was no surprise to see the use of aluminium extended to the fork and seatpost, two areas that really benefit from a spot of carbon-fibre that you’ll find if you’re tempted to open your wallet a little wider (on a Radial Revere 1.1 Carbon, for example). Unfortunately this translates into a slightly harsh ride when the road surface deteriorates with vibrations transmitted through your arms and, errr, undercarriage, especially when riding at speed down descents. 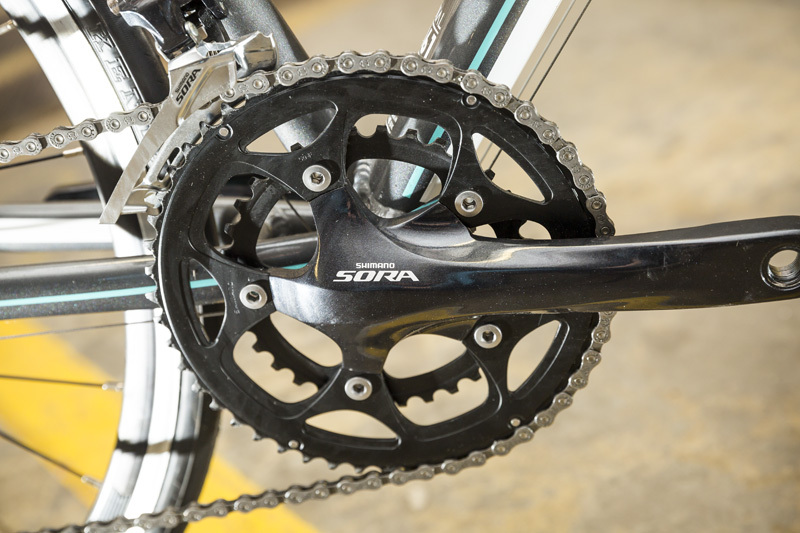 Shifting is all dealt with by Shimano’s budget Sora groupset. Sora may not be the sexiest groupset in the world, but if you’re looking for reliable shifting on an entry-level bike, it’s hard to fault. 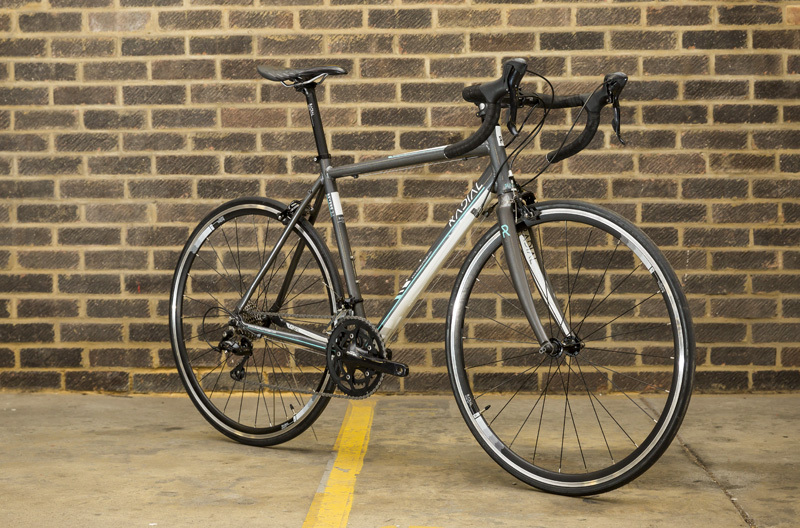 On a bike costing under £500, the Sora groupset really is a very impressive addition. Both front and rear shifting is close to spot-on, with the levers just requiring a little more of a prod than Shimano’s higher-end Tiagra and 105 groupsets. Admittedly the bulbous hoods are a little unsightly, and don’t suit my small hands, but at least they do their job. Up front there’s a 50/34t, while at the rear a 9-speed cassette with a 12-28t range should offer enough gearing to get you up some pretty steep hills. The only major departures from the Sora setup are the Tektro R325 brakes, which offer decent modulation, but lack real power once you get up to high speeds. Most of the finishing kit on the Radial Revere is taken from the brand’s extensive range of parts and accessories. 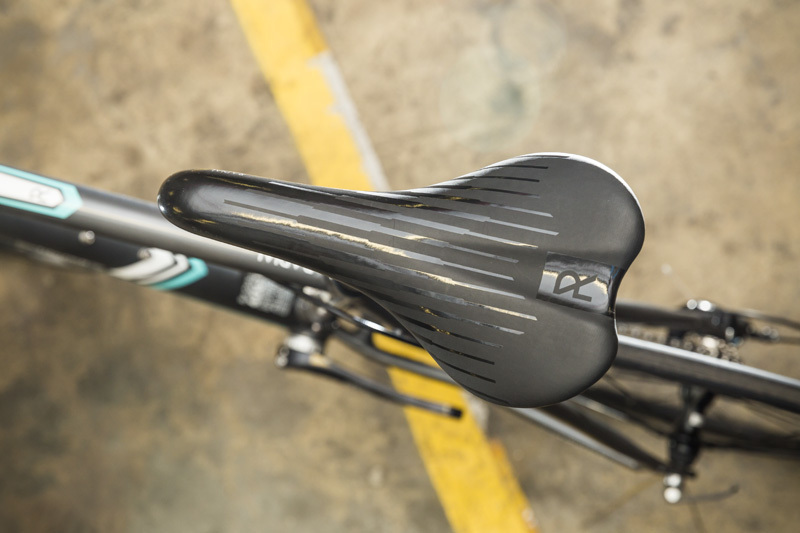 This includes the alloy seatpost, stem and shallow-drop handlebars, as well as the Radial Race Plus saddle, which looks great and is really comfortable even on longer rides and in a variety of riding positions. The wheels on the Radial Revere are also produced in-house, and certainly seem to fit the general character of the bike. With 28 spokes at both front and rear, they are certainly a sturdy set of hoops that easily dealt with the all the punishment the rough Surrey lanes could throw at them. 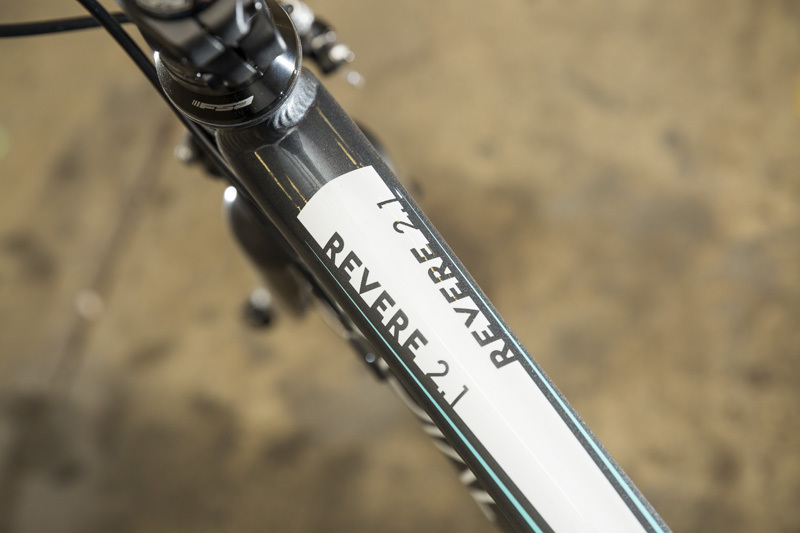 Finally, the Revere comes with eyelets for both mudguards and panniers, meaning this bike is an ideal candidate to be converted into a winter training bike or commuting bike when the time comes to upgrade a few years down the line. The bike comes equipped with clipless pedals and cleats, easing the entry of the new rider into the cycling fraternity. 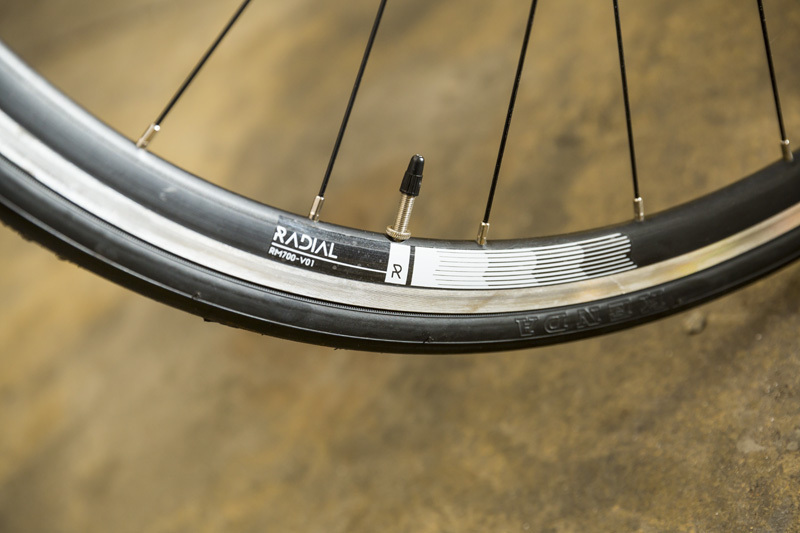 Look out for a full review in the coming weeks, but in the meantime head over to the Radial Cycles website for more details. 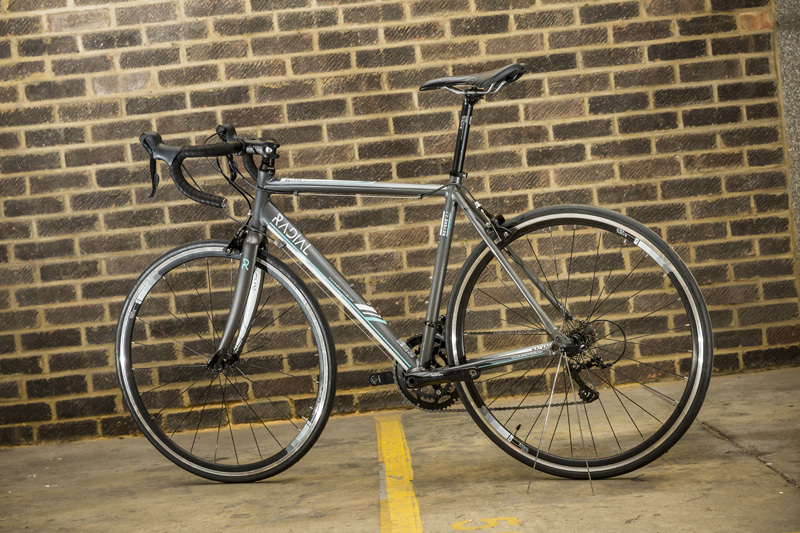 A solid performer for an entry-level road bike. Performance is great on flat and rolling terrain, but a little harsh on rough roads. The Sora groupset is impressive given the price and the wheels and finishing kit all do their jobs well.